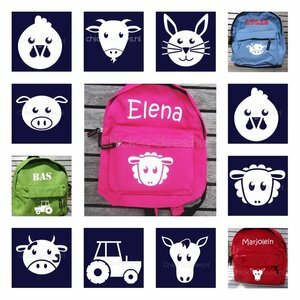 Beautiful farm themed gym bag, swimming bag with name. 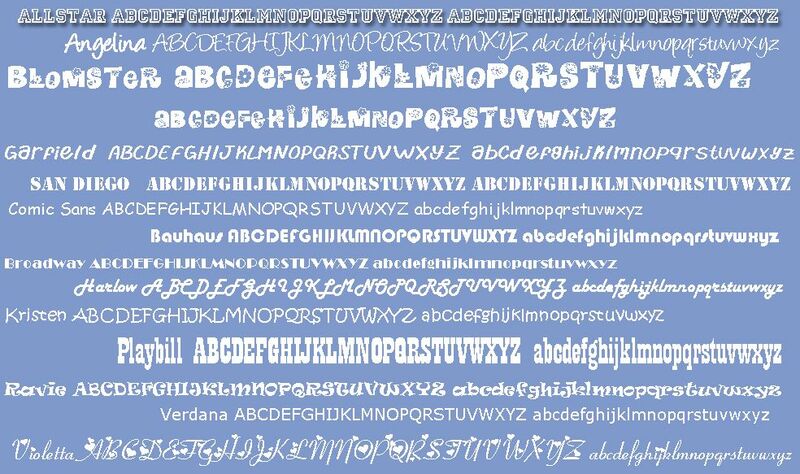 Choice between various colours and 13 fonts. 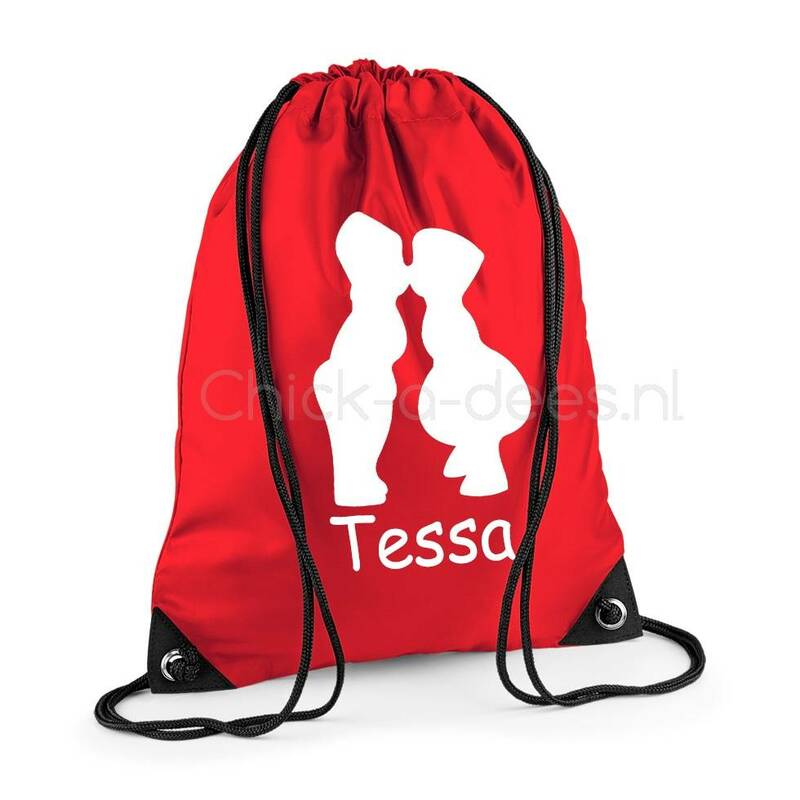 This gym bag has a print of the popular kissing Dutch farmers couple. 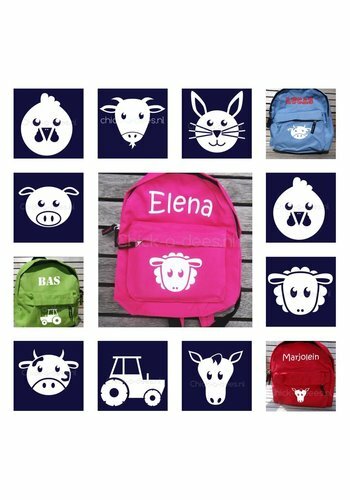 The popular prints of the children's overalls are now also available for the new range of personalized bags from Chick-a-dees. These gym bags are personalized in our own workshop and come with one of the theme's prints. You can choose from multiple colours of gym bags, more than? ?10 different fonts and? ?seven different farm themed images. This practical gym bag is made of water-repellent 210D nylon and easy to clean. The gym bag has reinforced corners and a black drawstring. The helicopter image will be printed in white. This drawstring backpack is perfect for school, swimming lessons, sports, holidays or school camps. Your image of choice will be printed in white on the bag. The image is printed above the name.